The Santa Maria Novella Printed Sheet shown with the PDF step-by-step instructions page. 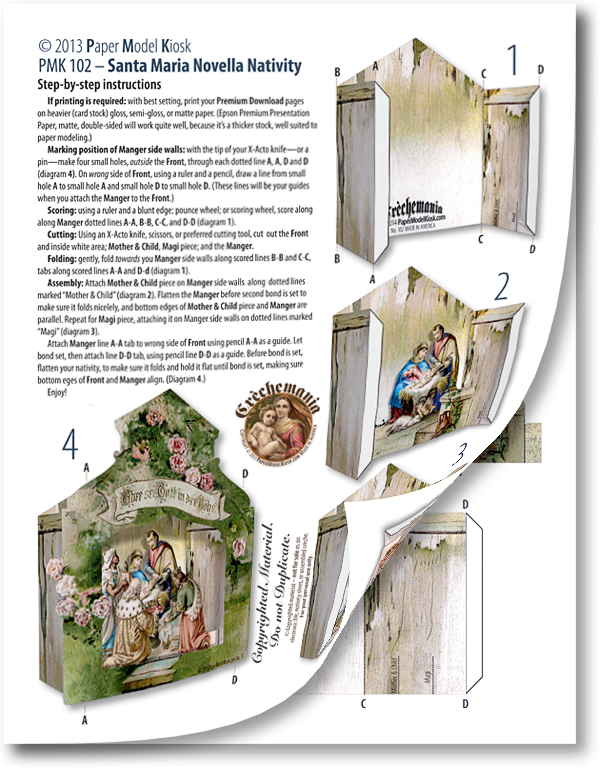 A quality Printed Sheet that features a beautiful façade that's easy to cut; four layers that are easy to assemble; and a set of instructions that you probably won't read — you can assemble the Santa Maria Novella Nativity by just looking at the pictures. Size: 4 x 4.75 x 1.75 inches.